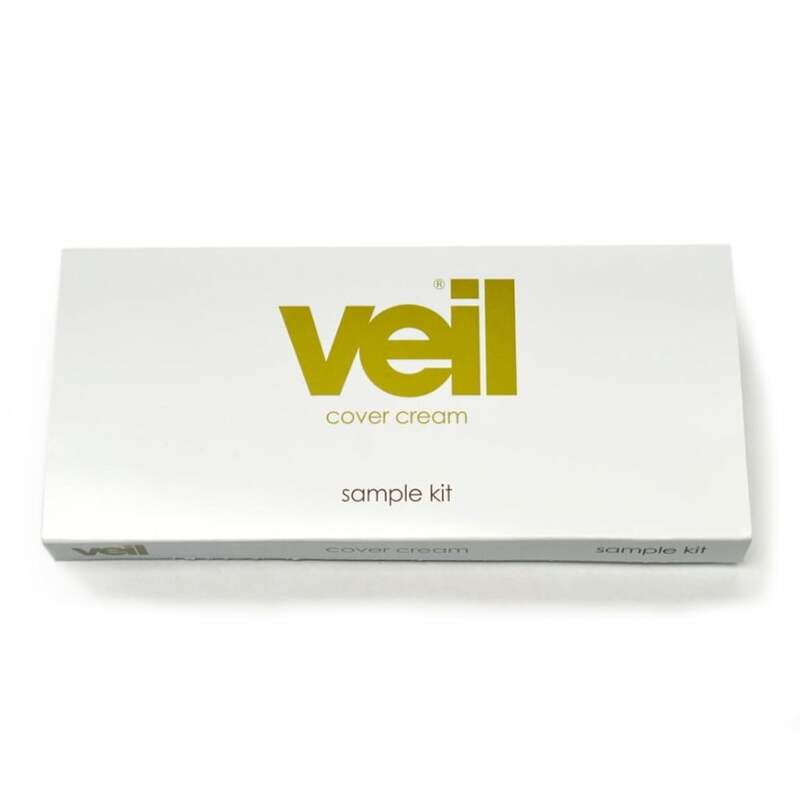 Get started with our Veil Sample Kit! Our sample kits are a great way to ensure you get the right shade of Cover Cream for your skin. 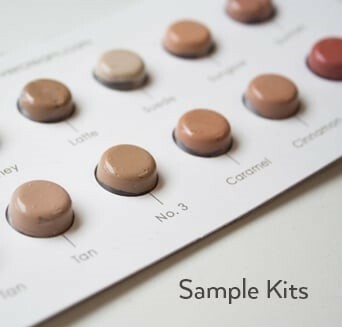 With 42 shades available to buy, we can help you ensure a perfect colour match for all complexions with our sample kits. You will receive 10 colours in a blister packet, along with a sample of each of our pharmaceutical grade Finishing Powders (Translucent for light/medium skin tones and Dusk for medium/dark skin tones), as well as a small spatula. Simply peel back to discover the colour that best suits your skin tone and start covering! Light Skin Tone - Cream, Vanilla, Natural-Light, Suede, Medium, Natural, Natural-Medium, Dark, Peach, Oyster, Translucent and Dusk Powders. Medium Skin Tone - Almond, Honey, Beige, Biscuit, Sunglow, Suntan, Natural Tan, Tan, No. 3, Caramel, Translucent and Dusk Powders. Dark Skin Tone - Latte, Olive, No 2, Rose, Brown, Mocha, Chestnut, Coffee, Walnut, Translucent and Dusk Powders. You will also receive a Discount Code to the value of $9.99 for each Kit bought, that can used when you purchase any full sized product. 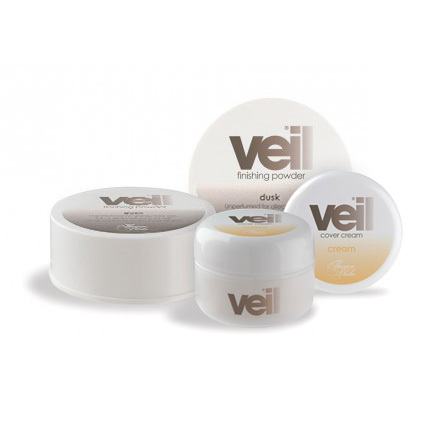 Veil is used to conceal difficult-to-treat skin conditions and imperfections and can even cover tattoos! Widely recommended in hospital dermatology and skin clinics as well as leading beauty salons. Veil delivers durable, smudge proof, waterproof results. Veil cream contains up to 50% more pigment than make-up, so a very small amount goes a long way. There is enough cream and powder to see effective camouflage over an area the size of you palm…. The most common mistake is to use too much cream.